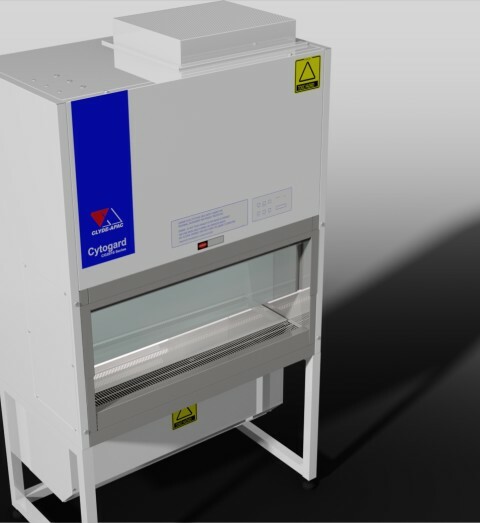 Cytotoxic drug safety cabinets are defined as the primary barrier against exposure to aerosols that are produced in the preparation, manipulation and dispensing of cytotoxic drugs. Many of these drugs are known to be mutagens, and are suspected of being carcinogens and teratogens. These effects are insidious and may not manifest themselves for some years. Protection of cabinet users and other staff from exposure to aerosols or vapours which may be generated in the preparation, manipulation and dispensing of cytotoxic drugs. Protection of cabinet maintenance personnel from the residue of drug particles which can contaminate filters, fans and other mechanical components. 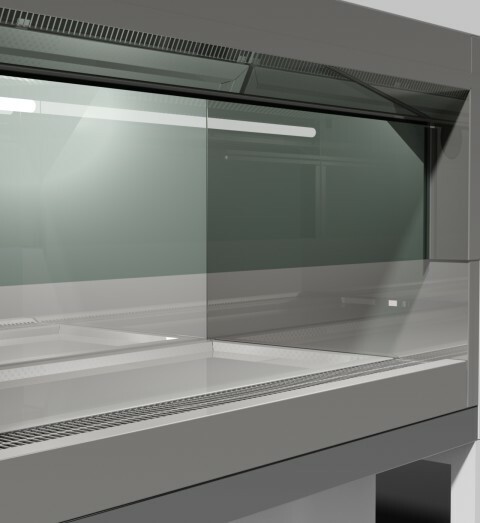 The need for a new cabinet design led to the publication in 1982 of AS2567, the world’s first standard for cytotoxic drug safety cabinets. 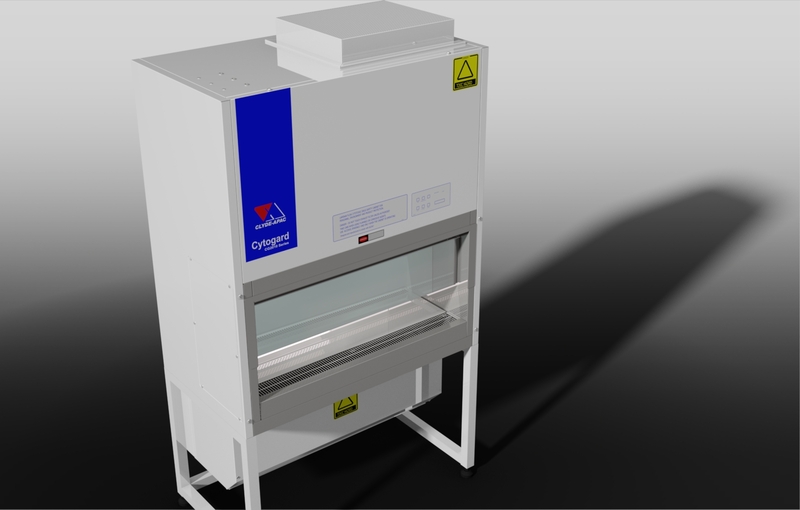 AS2639, first published in 1983, deals with cabinet use and installation, including the location of the cabinet in a special cleanroom. Revised versions of these documents were published in 1994. 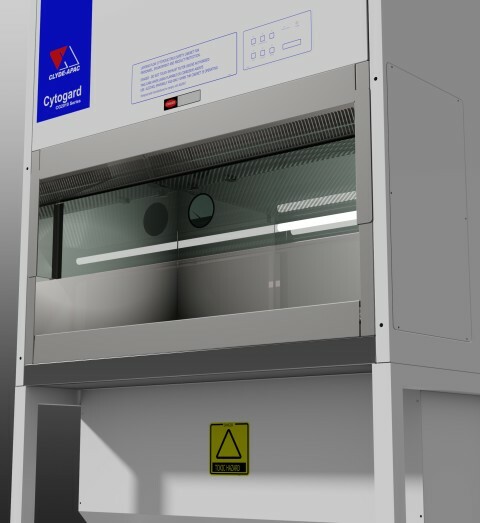 CG2010 Cytogard cabinets are designed and manufactured to comply with AS2567, this has since been updated to AS2252.6 and each cabinet is factory-certified to meet the specified performance requirements. 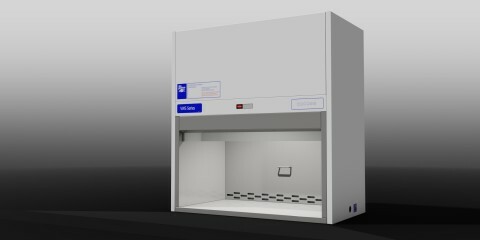 These cabinets may also be used where the handling of other drugs and chemicals requires both containment and aseptic manipulation. 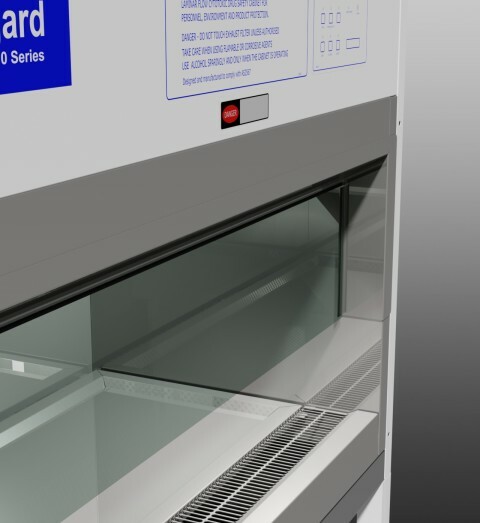 CG2010 cabinets are part-recirculating laminar air flow enclosures with high efficiency particulate air (HEPA) filtration of exhaust air and an air barrier at the work opening. HEPA-filtered vertical laminar air flow which is recirculated in the work zone creates an ultra-clean work environment for product protection. An air barrier between the operator and the work zone is maintained by a flow of room air into a full-width grille in the work opening. 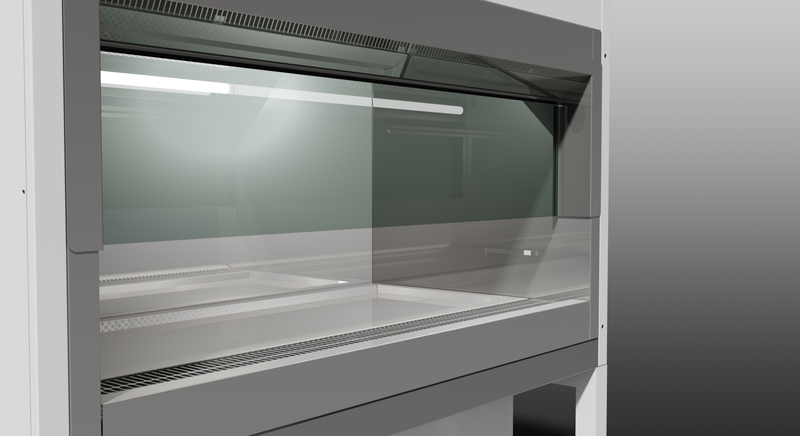 The barrier air mixes with the recirculated laminar flow air in a sump underneath the work surface, and is exhausted from the cabinet via a HEPA filter which is located directly under the work tray. All positive pressure zones and filter seals are surrounded by negative pressure zones, so as to contain potentially hazardous aerosols. Cabinets are produced with a work zone width of 90cm, 120cm or 180cm and are free standing units that incorporate a floor stand. 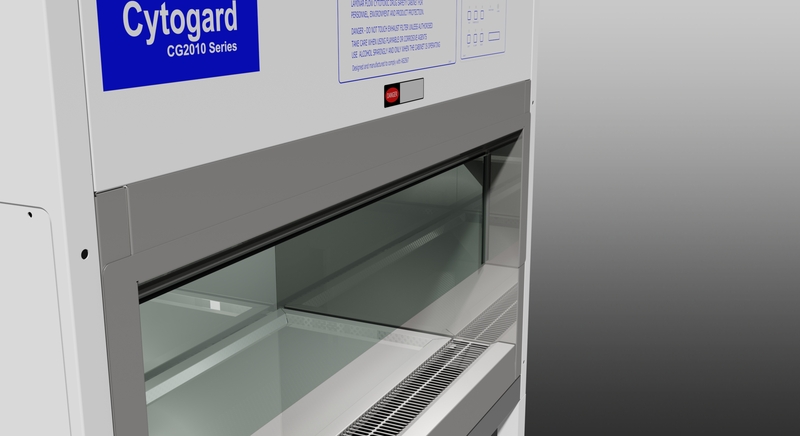 Standard cabinets have exhaust discharge on the right hand side with optional left hand side or top exhaust available. Top exhaust is typically specified where cabinet exhaust air is to be entrained into the room exhaust. 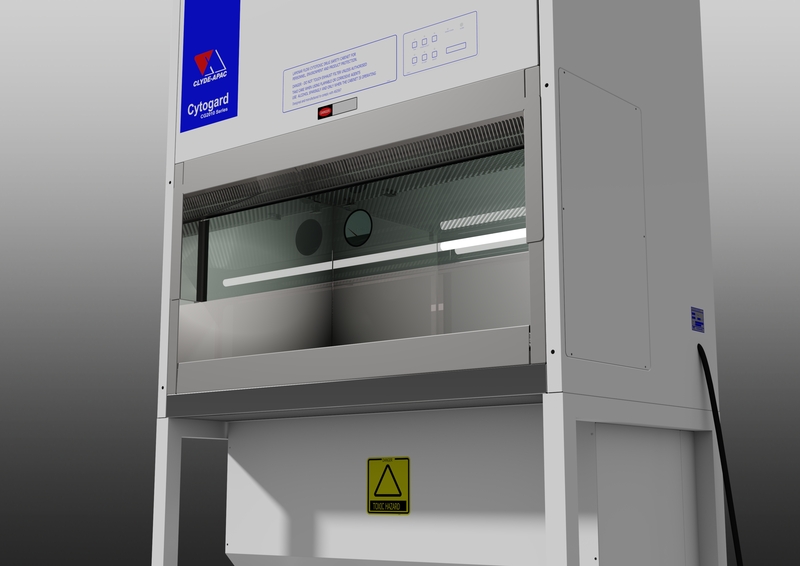 These cabinets provide advanced system-monitoring technology and a number of unique design features intended to enhance safety and ease of use. 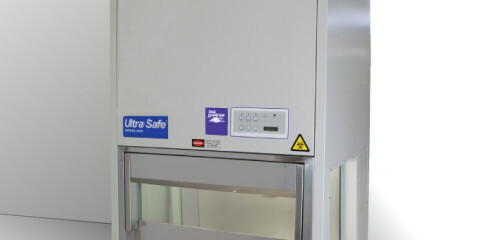 AES Environmental is a NATA-Accredited laboratory and provides comprehensive on-site maintenance, testing and certification services for safety cabinets, laminar flow work stations, cleanrooms and HEPA filter installations. This service is available from fully-equipped, NATA-Accredited laboratories in major Australian centres. Due to ongoing research & development, Clyde-Apac / AES Environmental reserves the right to modify the product & specifications without notice. Constructed in electro-galvanised steel with joints welded using a gas-shielded arc process. This method products a robust, leak-free housing that is able to withstand the rigours of transport and handling. Exterior finish is in a special baked enamel which has been developed for laboratory equipment. Constructed in Grade 304 stainless steel with 2B finish. Corners are radiused and crevice-free for east of cleaning and all surfaces are carefully dressed to remove sharp edges. 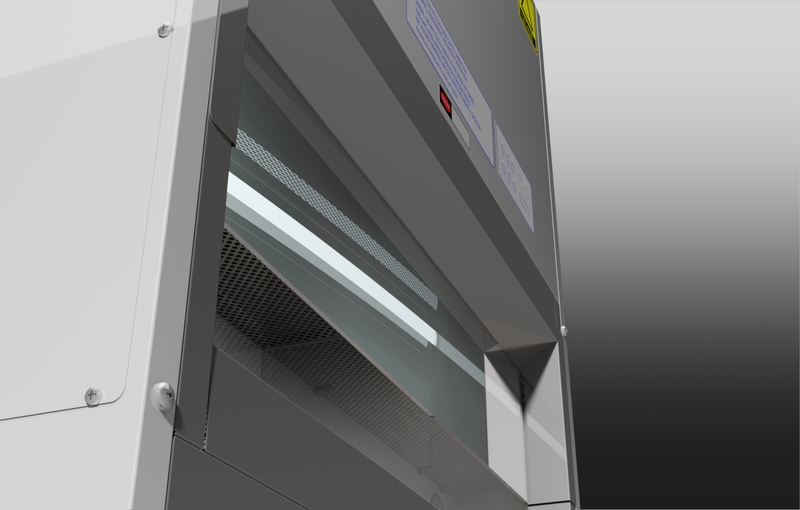 The removable work tray is designed to allow cleaning access to its underside without removing it from the cabinet. A pneumatic mechanism opens and closes the viewing window without the need for external fasteners or catches. The window is self-supporting in the fully-open position to facilitate cleaning and access for large items. 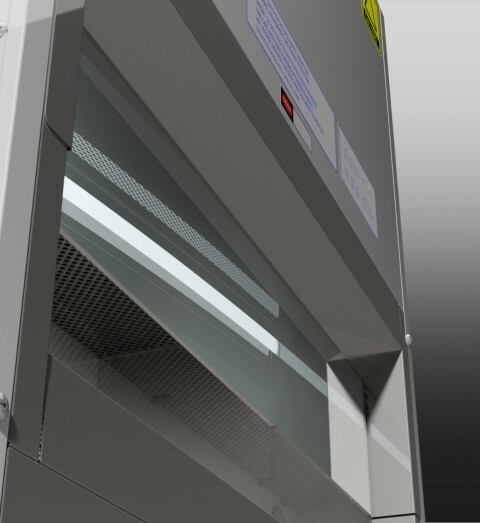 Opening the window with the cabinet running automatically engages a boost mode for enhanced containment by activating maximum exhaust airflow and the alarm systems. 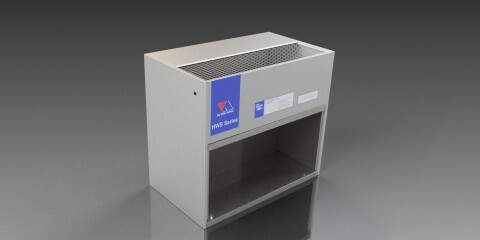 Separate direct-drive fans are provided for the exhaust and laminar flow HEPA filters. Fans are fitted with speed controllers to enable airflows to be maintained through filter life. 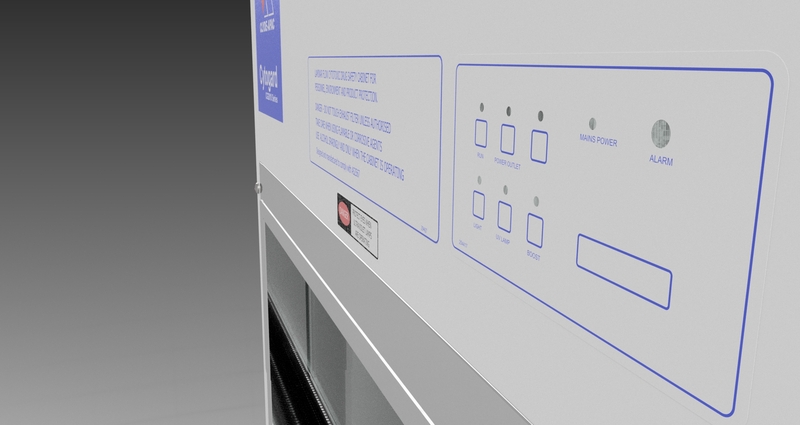 The fan control circuits are interlocked so that the laminar flow system will not operate until the exhaust system has achieved a containment condition. Audible and visible alarms with rechargeable battery back-up signify any reduction in barrier containment or laminar airflow. Clyde-Apac Microseal™ HEPA filters are manufactured to the most exacting standards for critical applications. Each filter is individually certified to be leak-free in accordance with AS1807.6. A manufacturer endorsed test label fitted with an extract of the test report is affixed to each filter. A prefilter extends the life of the exhaust HEPA filter, and protects it from mechanical damage during cleaning of the work zone. Cabinets are self regulating to a supply voltage. 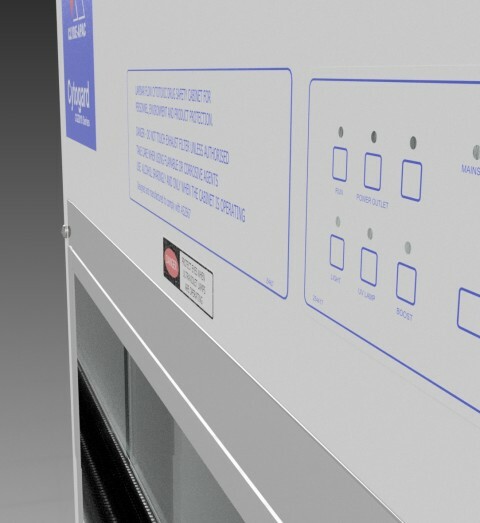 A low-voltage touch-control panel is located on the front of the cabinet. 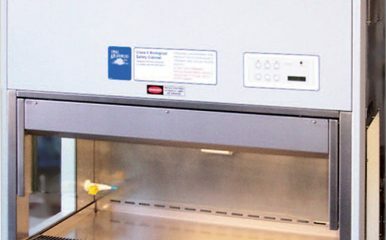 A microprocessor-controlled diagnostic system provides continuous monitoring of critical cabinet functions with a digital display indicating the nature of any malfunction. The boost mode and a post-use over-run mode may be manually selected from the control panel. An integral fluorescent lamp housing reduces heat build-up near the operator. Glare-free lamps provide a minimum lighting intensity of 800 lux at the work floor. Clyde-Apac / AES Environmental laminar flow and HEPA filter products are manufactured in Australia under an accredited Total Quality Management System.